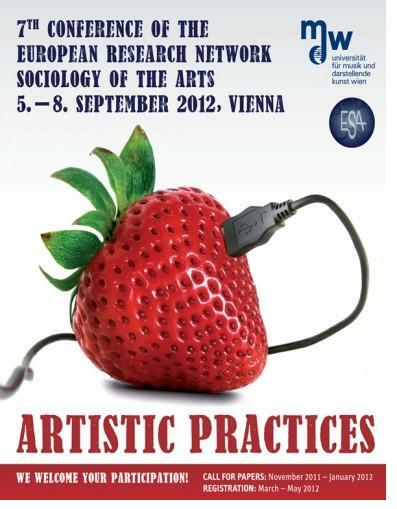 Call for Papers: The 7th Conference of the Research Network Sociology of the Arts, which is part of the European Sociological Association (ESA), takes place from the 5th to the 8th of September 2012 in Vienna, Austria. The conference will be organised by the Institute for Music Sociology at the University of Music and Performing Arts Vienna and is an event in a biannual rhythm since 2000. The key aim of these conferences is to enable collaboration and scholarly exchange between art sociologists and other scholars of the arts, and to support the presentation of new research projects. Furthermore, inspiration for the further development of the sociology of the arts can be seen as a goal. 1.Sociology focused on particular domains in arts including architecture, urban planning, applied arts, arts within the domain of popular culture (e.g. film, television, and popular music) as well as traditional ‘high’ arts (e.g. music, visual arts, literature, theatre, etc.). 2.The process of production, distribution, promotion and commercialisation of works of art including the impact of technology, new means of production, forms of collaboration, the formation of art theory, the development of arts markets, process of valuation etc. 3.The process of presentation and mediation of arts including art criticism and publicity in all domains of the arts, museums, theatres, concerts, audience studies, attitudes towards the audience, educational programs, etc. 4.Professional development including amateurs and semi-amateurs, vocational education, art schools, professional differentiation, artistic income, artistic reputation, relation to arts management, etc. 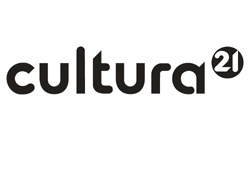 5.Arts organisations (not only houses such as museums, theatres but also festivals and artists’ unions) – investigation of historical development, power relations, effects, program selection, processes within the organisations such as gate-keeping, leadership, etc. 6.Arts policy (especially the sociological aspects thereof) including legal issues, public and private funding, public discourse and debates (e.g. classification of art, arts and religious symbols, arts and sexuality, arts and racism), censorship, analysis of the impact of arts, sustainability, lobbying associations, cultural ministries or other government bodies. 7.Social and cognitive effects of the arts including: arts and identity formation, arts and bodies, aesthetic experience, arts and ethics, coding and decoding, gender related practices, ethnographic aspects, art for social transformation, arts in communities and arts as a part of urban culture. 8.Arts from a macrosociological perspective including: (de-)institutionalisation, economisation, globalisation vs. localism, digitalisation, mediamorphosis, arts and social cohesion, arts and ethics, arts and hegemony and arts and power. 9.Theoretical development in arts sociology such as the production of culture approach, (post-) structuralism, field theory, system theory, praxeology as well as methodological issues. The deadline for submission is the 31st of January 2012. Further information on the conference and about the application details can be found on the conference website. For further details on the conference please contact zembylas [at] mdw [dot] ac [dot] at or tel. +43-1-71155-3617.